Evolving changes in the telecommunications business require flexibility and competence to maintain and grow your market presence. Working as a team is much easier and more profitable than working alone. That is why we want to attract good, solid distribution partnerships. All of our partners are team players and we complement each other perfectly. While we constantly focus to develop and update anynode®, our partners bring us the technical details and sales know-how to effectively improve anynode®. Our partner program gives you a choice of two levels which are outlined in our Product Partner brochure. Partners are able to choose the program that will work best for their needs. Choose to be an anynode® Product Partner or an anynode® Premium Product Partner. An important piece of any successful partnership is the competence and knowledge of the partners. The better the understanding of anynode®, the more successful you will be in sales and support.  For this reason we have launched the anynode® academy. Newcomers become experts and experts improve their knowledge. Everything you want to know about anynode®, it’s deployment and all the program’s analysis tools can be learned in small focused groups by attending the academy. In this PDF general advice on anynode® Partnership. More information about the training courses of anynode® academy can be ordered here.